Two derelict homes on Ayre Road (6717 & 6723 Ayre Road) will be demolished and turned into ten condos. One of the houses has already been torn down, and the second one is also scheduled for demolition. 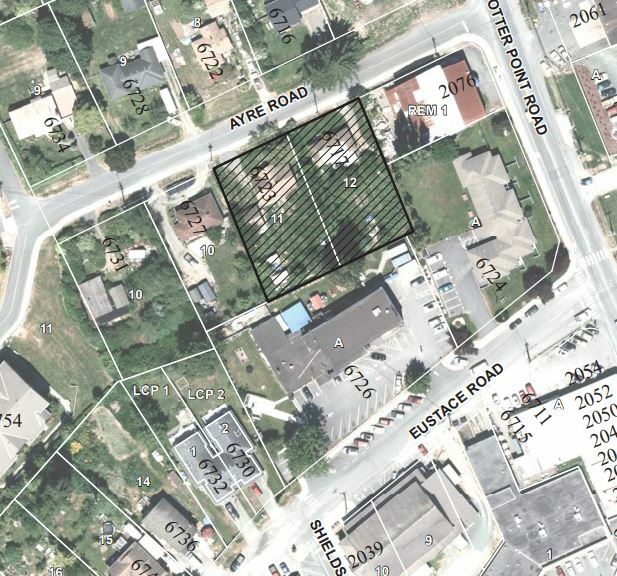 At the June 26 Regular Council meeting, elected officials from Sooke deliberated and passed the final reading of a zone-change application, changing the zoning of these two lots from the current R1 (Large Lot Residential) to RM3 (High Density Multi Family 3). The RM3 Zone will allow for multi-family housing, to a maximum of 4-storeys (or 15 m) in height. The owner currently intends to build 10 townhouses on that site. During the Public Hearing, two local residents expressed objections. One person had a house across the road, and he objected to the traffic congestion and parking issues that could result. He pointed out that ambulances frequently go to Ayre Manor (housing that provides independent living, assisted living and complex care for seniors), and that the roadway would need to be clear. Lastly, this person had concerns that these townhomes would impact the property value of his home. As per the staff report provided at the meeting, the applicant has to provide affordable housing or a cash-in-lieu. So, in lieu of residents having the possibility for affordable housing, the District gets money. As was explained at the previous council meeting, this money goes into a separate “pot.” Currently, according to staff at the June 12 meeting, $52,000 had already been collected. The $5,000 from this application would be added to that. At the June 12 meeting discussing previous readings of this application, Councillor Rick Kasper objected to the $5,000 in lieu, stating it should be up to the applicant to decide how they wish to provide the affordability component, possibly by way of providing a suite at an affordable rate. He noted that that would mean more to the public than a $5,000 fee paid to the District. At this final meeting, the $5,000 in lieu was accepted without objection from any of the elected officials. A Traffic Assessment has been completed, and there is no impact expected. The builder will have to provide 1.5 parking spots for each unit, and 15 parking spaces are proposed. I do believe something should be done NOW about parking and that rd… especially making a left turn off Ayre Manor onto Otterpoint. People park in front of that daycare blocking your view of oncoming traffic. Sooke needs affordable housing more then the district needs 5k in the coffers! So all you have to do to get out of the responsibility to provide affordable housing is pay off the municipality? Wow! $5000 eliminates affordable housing! Talk about low to zero priorities!! Unfortunately, it’s not up to the District 🙂 The title is misleading. Ebsco, what’s misleading? The title is ten townhouses coming to ayre road. That seems pretty straight forward. Do you mean the fb intro? That seems pretty accurate too. The article says the district is getting $5K in lieu of affordable housing, and I followed the link to the district doc which also says $5K in-lieu. Or, are you adopting the new political tactic of crying “fake news” when you don’t like what you read, however factual it may be? I don’t know you, but I had in my head that you were above that. I think Kasper was right it at the earlier meeting (also in the article) where he said it makes more sense to have the developer provide the affordable housing. But none of you guys supported him. Too bad. One townhouse sold at cost to a low income family is worth WAY more than $5000. Did Sooke just get ripped off??? Density in the town core increases the viability of local Sooke businesses, makes Sooke more walkable and decreases reliance on cars. A shame that an affordable suite was not in this plan…I would like to hear ideas of how the accumulating fund will be used. Good lord I can’t believe they took 5k instead of pushing for affordable housing!!! WTH is right! I really do hold y’all in the highest respect, and thanks so much for being awesome leaders/decision-makers in our wonderful growing town! Sorry but, I can’t be quiet with this one. In a nutshell, the contractor had (and still does? Not sure…) to build and sell 10% of the homes ‘at cost’. And sold along with fancy low-mortgage arrangements (from CMHC, I believe). The idea was to help get working low-income people a much easier chance of getting into the real estate market. Then after several years, to be able to sell and get into a bigger home with a traditional mortgage. Great program, esp. for young working families! Not a hand-out…..just a helping hand up! Different financially, but basically similar goal as Habitat for Humanity. – Lino instead of tile. – Laminate instead of hardwood. – One paint colour instead of five. – Regular appliances instead of ‘stainless steel’ etc etc etc. – Seed instead of sod. There is enough net profit from any development to allow 10% sold at cost. Yes, house building can be financially risky, but the honest and smart ones I know are, well, quite well off! I actually had no idea Sooke had such a policy until I read this article, and this Sooke District paperwork from 2007. I also have no idea how this is applied (if at all?) in Sunriver. Or Bear Mountain. So, in conclusion, the $5000 collected in lieu of this Arye rd developer selling one unit at cost, isn’t enough. That one unit could have been a huge financial step-up opportunity for a Sooke family…..with a probable value of half a house! If the deal is signed, well, it is what it is. Next developer to propose something big in Sooke, please consider the true value of the 10% sold at cost to local eligible families. Worth waaaaaaay more than $5000! Ps no reply needed. Just please keep all this in mind for ‘next time’! On the subject of affordable housing I agree with all the comments here and am as frustrated as you are. Most of these decisions are done internally between staff and the applicant, signed and sealed in a back room with no opportunity for public input or comment. I don’t think that’s the right way to go. The majority of this Council feels that there is too much bureaucracy, red tape and unnecessary regulation in Sooke that gets in the way of affordable housing. Our processes are long overdue for a major overhaul. Our current Official Community Plan (OCP) is one of the major barriers to a streamlined process to deliver all types of affordable housing. A few steps have been taken to address this, mainly the current update of the OCP. We also got rid of the amenity policy that was not being implemented properly. Now we are waiting for the new development committee to get established to hopefully create some dialogue and drive change. I recently attended a region-wide forum on affordable housing. There were 184 registered participants from local governments, non profits, rental housing, for profit and market housing. Speakers from non profit and for profit all said that municipalities have systems in place that cause time delays and add huge costs. These are the things that have to be changed before affordable housing becomes a reality. In Sooke, the District’s internal operating practices that have been going on for many years also create roadblocks. Delays drive up prices and create restrictions on availability. I can tell you this has been very frustrating for this Council. One of our own Council members couldn’t even find suitable housing in Sooke! One example of unnecessary red tape and bureaucracy is the District’s referral process – something I have been advocating to change for many years. For rezoning, OCP amendments, subdivision and development permits our process requires referral (at each of these steps in some cases) to a host of different agencies and organizations. Most of these are not legally required and create major delays. The referral process creates more work for limited staff and each referral delays an application by 30 days. The District refers all land use change applications to 18 different agencies and organizations such as Telus, Shaw Cable, Fortis BC, RCMP, SEAPARC, BC Hydro, Canada Post, BC Transit, CRD Water, Ministry of Transportation and Highways, etc. Recently, a property was getting downzoned from a higher use and density to a much lower zone. That rezoning application was sent out to all of these different agencies for comment. Really? Why would any of these agencies care about a downzoning? There was no impact on any of those services and it was still referred. Our development permit process is also onerous and goes well beyond provincial requirements – again, another time waster and added cost. The sad reality is that the problem is getting worse and will continue to get worse if we don’t stop dragging our butts and get it fixed. The majority of Council has raised this and supports change but it has taken far too long to get to this point. If you have ideas to help support more affordable housing in Sooke please raise your concerns at a Council meeting, write to us at mayorandcouncil@sooke.ca or feel free to give me a call 250 642 5919. Ok, thanks Rick Kasper for the explanation! I’ve saved your number. 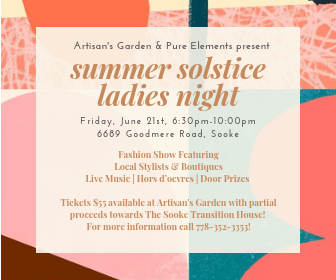 I’ll gather a team of Sooke volunteers (admin. types and construction types) and come and talk to Council, and we’ll make it happen. Same thing if you guys ever get approached by Habitat for Humanity for permission to build in Sooke.